It seems that the rumors of Sir Vilda's fall have indeed been true. Following his trial and subsequent kidnapping from his secure observation area, he finally reappeared on Ruusan last night, July 31st, to confront his ex-wife Lady Kimmie Aeon, whom he insists killed their only son. After a long epic battle during which he refer to Lady Kimmie as 'Baby Killer' and reportedly shouted, "Damn you Kimmie! To Hell with you and you're kind! Murderous creatures… Weak in spirit and mind! 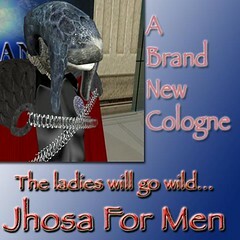 ", Vilda finally declared that he was through with the Jedi and accepted the Assembly of Darkness as his new order. It was the fact that none of the Jedi would intervene and arrest her that seems to have been the final straw. Vilda will be missed in the NoJ. He served faithfully as a Representative to the Imperial Senate and was the NoJ Representative to Onderon. Reportedly he acted as an intelligence officer for much of his time as a Knight as well. May his good deeds serve to return him to us. 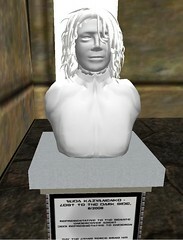 Vilda's bust is on display in the Jedi Archives on Ruusan, among those of the Lost Twenty.